I'm planning to buy a house in Cotacachi or Cuenca. Or a condo in Cuenca. Do you think I can find owner finance or any other finance for expat? How to qualify? Something close to 100k would be good. (Jun-14-2013) For $48,000 USD I no long want to continue the process with the Ecuadorean Consulate in my Country. I hope the CD in Quito is still $25,000 USD. Today I have received another email confirming the deposit requirement. $48,000 USD. Hey Dom, LarryP can you confirm the numbers? 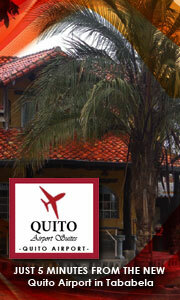 Has the bank deposit amount changed or is still $25,000 USD in Quito? I have talked to the guy in the Consulate about my Residency request process. I told him I’m not so comfortable with the process because I’m feeling it will take forever to be done because they have not said me a full documents and papers list at once. Every week they email me to ask for something that could be said before. This guy said they have never did a visa resident before and the bank deposit value is $48,000 USD. I said him if I had choose to go to Quito to do the same process the value is $25,000 USD. I’m not sure if it will be a good deal to continue the process here. Today (May-31) I wrote the letter. I paid a notary fee $10 usd then I approached the “tradutor juramentado” (accredited translator). The translation service rate was astonishing expensive. $43 USD to translate 1 page with 5 short lines. I waited a little and the translator said the work will be done only on Monday (Jun-3) after 4 pm. I’m feeling if the Consulate ask to translate several documents I will be ripped off by the translator. Living and Learning. Yesterday (May-28-2013) I have received another email from the Consulate. They asked me to provide a letter to be submitted to “Consejo Consultivo de Politica Migratória” asking for a “Visa de Inmigrante” for residency and that I have to say that I have financial conditions to support myself and to make the required deposit. They also said I have to translate it using an authorized translator. I will post this message and I will post again today because I have something to say about my status. Today (May-20) I have been in person in the Consulate to give them my police criminal records paper. They said everything is ok. Also said they have received a “green-light” from their Embassy and smiled a lot. I’m feeling a little more positive. p.s. : They have not asked for any other paper/document. Today (May-17) after several days in silence they asked for police criminal records. And that was the only thing that they asked. Nothing more. I will send it on Monday (May-20). Yesterday (May-13) completed 2 weeks. Still nothing. I contacted then today and they said still no response from their embassy. They said to contact them again on Friday. 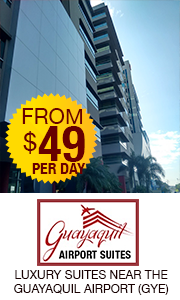 I was thinking to buy a house or a condo to qualify to live legally in Ecuador. I have found a house in Cotacachi with owner finance but the house is very big for my needs it is close to 300 square meters. I just need a house for a couple and a child. I would like to talk to others expats. Hehe I’m not an expat yet but I’m going to be soon. I just need a way to live legally there.